The Terriers flew to Arizona Wednesday for their first-ever meetings with Arizona State this weekend and they’ll find a familiar face there in last year’s Hockey East Rookie of the Year and current Arizona Coyote Clayton Keller. With the NHL going on its All-Star break, Keller, who led BU in scoring with 45 points last year, plans to attend both games against the Sun Devils. He talked with sundevils.com about making ASU his second favorite NCAA team. 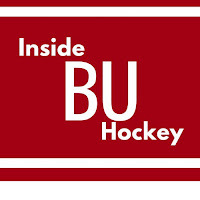 This weekend's series marks BU's first game in the Pacific Time Zone since the 1994 Great Western Bank Freezeout, played at The Forum, when the Terriers defeated Princeton the first night, then dropped a 6-5 overtime game to Maine (whom BU would defeat in the national title game that season). Before that, BU traveled to San Diego in 1987 to sweep a pair from U.S. International, a now defunct program. 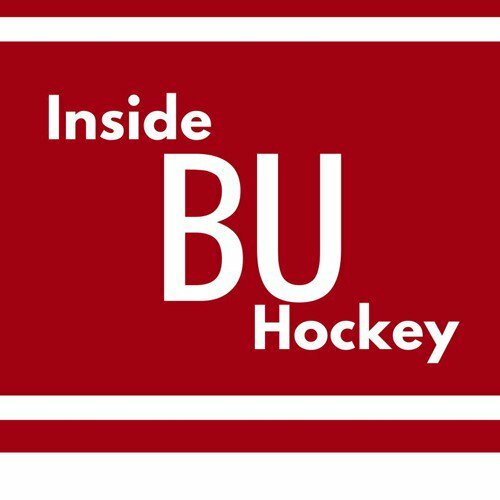 This week’s episode of Inside BU Hockey features Bernie Corbett’s interviews with head coach David Quinn, graduate transfer Drew Melanson and ASU head coach Greg Powers. Melanson played three seasons at RPI scoring 43 points, and after graduating in just three years, he elected to use his final season of eligibility at BU. He has a goal and six assists in 24 games and has been skating at right wing on the Terriers’ top line. Powers is in his ninth season as the Sun Devils’ head coach and second since the school joined NCAA Division 1. In 2013-14, he guided ASU to the ACHA National title, earning Coach of the Year honors. BU has its first member of the 2021 recruit class with a verbal commitment from high-scoring left wing Jeremy Wilmer, a 2003 birthdate who currently skates for both the Portledge School and the Long Island Gulls Bantam Major program. BU just received commitment from ‘03 Jeremy Wilmer. Small forward has elite hockey sense, can skate and has good skill set. All 4 Beanpot schools had interest. That aforementioned commitment is now official. The New York City native has a 29-38-67 scoring line in 18 games for the Gulls and has been called up to the Gulls 16U squad as well. As a freshman at Portledge, Wilmer has become a solid contributor to the Panthers offense. On Wednesday, he scored four goals in a 9-5 loss to The Hun School. 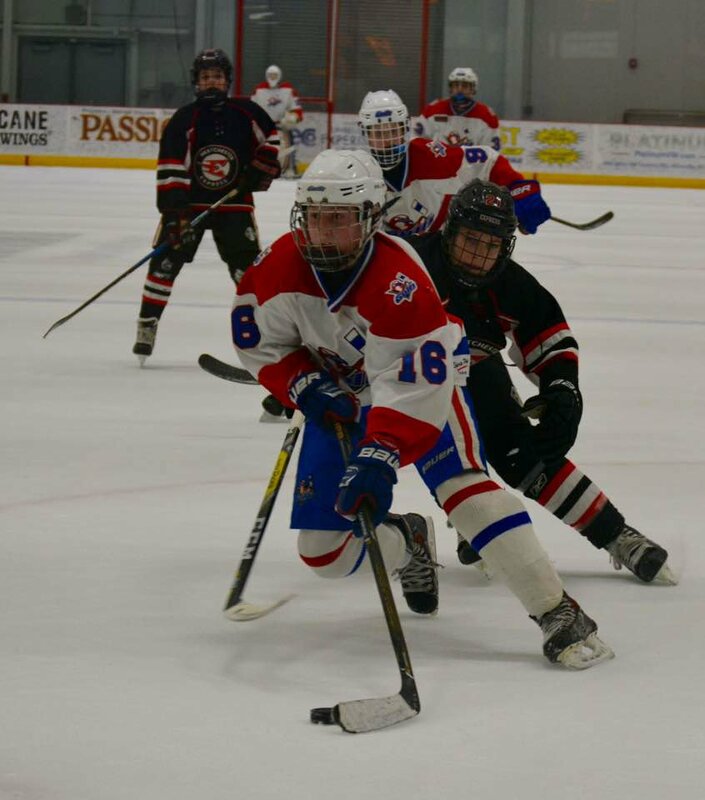 Jeremy Wilmer, F, #16 LI Gulls -- Undersized center has great vision and skill, great edges, competes hard, has high hockey IQ. Relentless on puck pursuit. Just slices through traffic. 03 F Jeremy Wilmer (BU) has great hands and better vision. He anticipates the play well and finds ways to slip through coverage with head and shoulder fakes. Crafty speed in all zones, smart player. Jack Eichel notched his 20th goal and dished out three assists in the Sabres’ 5-0 blanking of Edmonton, Tuesday night. With 49 points, he’s nine shy of equaling his career best of 57 and has 14 points in the past seven games and 25 points in his last 16. 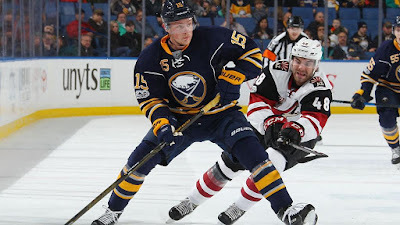 Eichel became the fourth Sabre to begin his career with three 20 goal seasons, joining Gilbert Perreault, Rick Martin and Thomas Vanek. Terriers travel to North Andover for their second meeting of the season with Merrimack. In September, BU dropped a 2-1 decision to the Warriors at Walter Brown Arena with junior Reagan Rust scoring BU’s only goal. The Terrier offense is led by seniors Victoria Bach with 47 points and Captain Rebecca Leslie with 40.